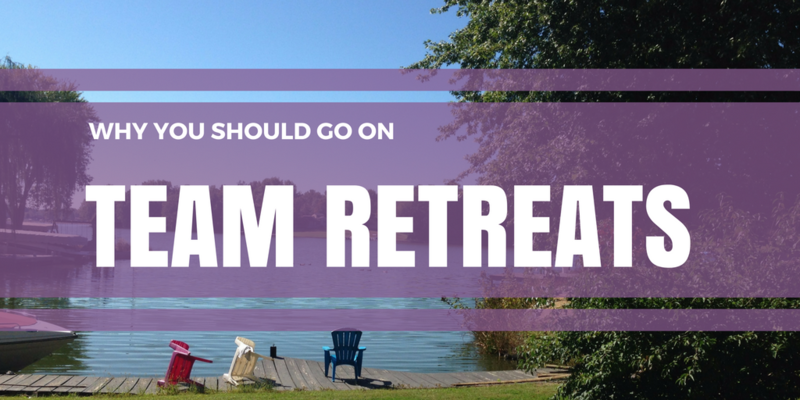 Have you thought about a retreat for your team? I’ve been on many retreats – personal, spiritual, and business-related. They have all been positive experiences to reflect and plan, to step away from my daily routine, and to re-energize. Every one of them has been difficult to commit to, though. They were time-consuming, expensive, created conflicts with other events, and/or seemed to fall at a bad time, either personally or professionally. Yet after each retreat I have returned to the daily routine with a new fervor, new friendships, and new plans and goals. 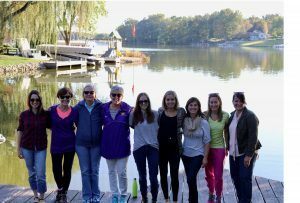 Several weeks ago, the Purple Ink team committed to a retreat. Nine of us (the tenth was hired only a few days before, so we cut her some slack) committed to leaving our families, set client work aside, focus on each other and our goals and plans, and best of all – we barely had cell service, little email, and no wifi! What a difference! In 27 hours, we strategically planned, brainstormed, discovered our PURPLE values, celebrated a baby shower and a birthday, prayed, did yoga, enjoyed a boat and a Jeep ride, ate delicious food, shared our Strengths, took a walk, learned drawing techniques, established goals and new processes, engaged in teambuilding activities, and just had plain ole fun! We hired an outside facilitator for part of it. It allowed each of us the opportunity to be a full participant! Kudos to Deseri Garcia at Vida Aventura for excellent values and team-building exercises. Each person on the team had a role. Almost everyone led at least one activity, which created responsibility for the overall success, and also didn’t burden any one person to prepare everything. We prepared the agenda and made assignments well in advance. This allowed us time to thoroughly plan and prepare. What were some of our successes? New goals, well thought out ideas, team building, stronger friendships, greater understanding of each other’s roles, a new commitment to our PURPLE values, and even more JOYPOWER! Have you thought about suggesting a retreat for your team? We highly recommend it. Contact us to find out how Purple Ink can help be YOUR facilitator!